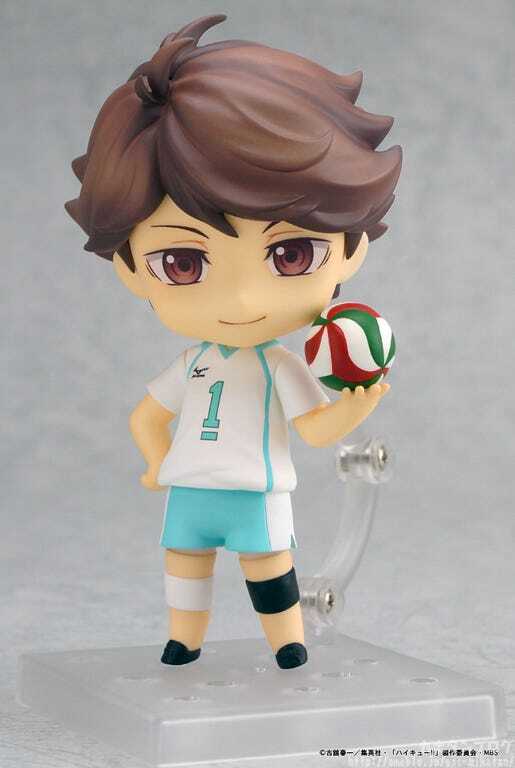 Kahotan's Blog | GOOD SMILE COMPANY Figure Reviews | Nendoroid Shoyo Hinata: & Nendoroid Tobio Kageyama: Karasuno High School Volleyball Club’s Jersey Ver. 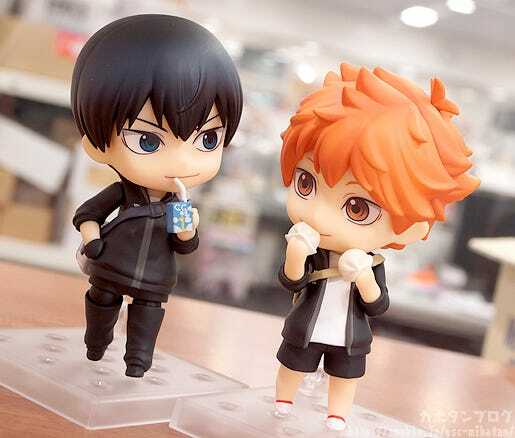 Nendoroid Shoyo Hinata: & Nendoroid Tobio Kageyama: Karasuno High School Volleyball Club’s Jersey Ver. 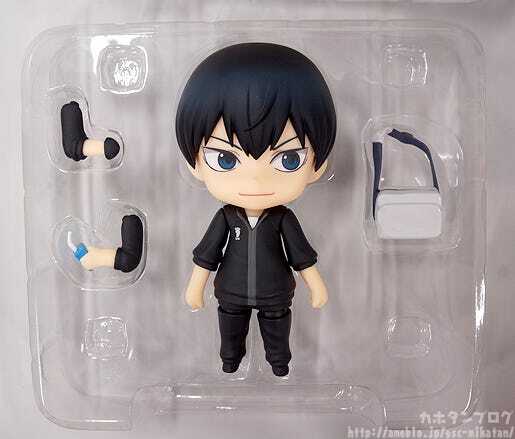 Nendoroid Tobio Kageyama: Karasuno High School Volleyball Club’s Jersey Ver. From ‘Haikyu! 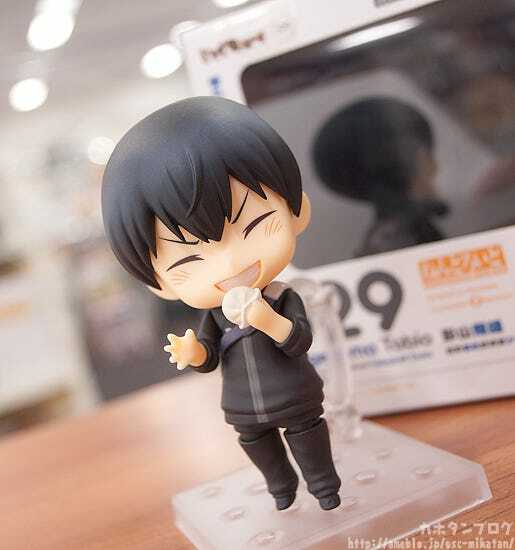 !’, the popular volleyball manga series with a second anime series on the way, comes a Nendoroid of Tobio Kageyama wearing his Karasuno High School Volleyball Club Jersey! 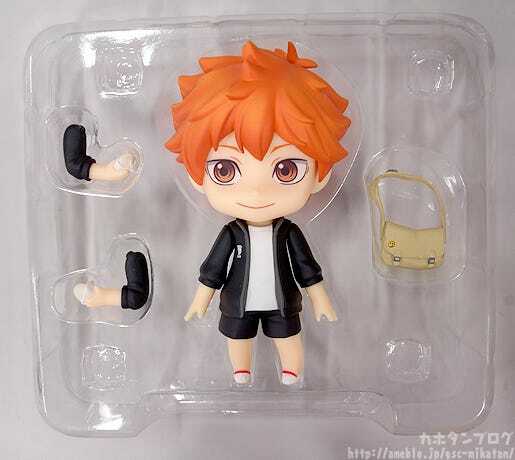 He comes with a smiling expression overflowing with confidence.The rather unique way they wear their jackets has been faithfully preserved, and Hinata also comes with some meat buns and the bag he uses when going to the volleyball club as optional parts. Kageyama comes with some ‘GunGun’ Milk and the bag he uses when going to the volleyball club as optional parts. 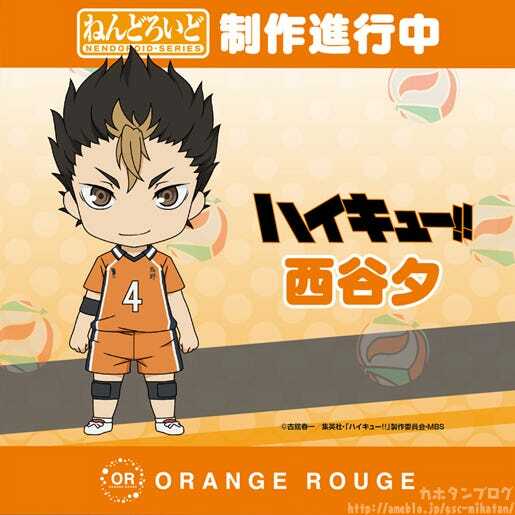 Be sure to display him with Nendoroid Shoyo Hinata: Karasuno High School Volleyball Club’s Jersey Ver. which will be available at the same time! The first year Haikyu!! 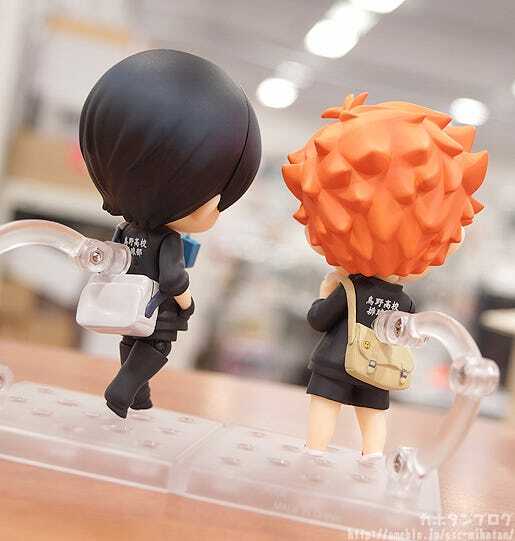 boys strongest duo are back again as Nendoroids, this time wearing their volleyball jerseys! △The left is the Jersey version, the right is the previous released uniform version! Not only is it a little more compact, but you also open it in an all new way!! Here is a GIF that should give you an idea of how the box opens up!! Karasuno High School Volleyball Club’s Jersey Ver. Rather Simple! But simple isn’t always bad! Not only is it lighter on the wallet, but there are still all sorts of ways to enjoy these two!! △ Kageyama with Gungun Milk and Hinata with Meat Buns!! They look so happy!! The optional parts and the way they are wearing their jerseys really bring out the differences in their personality! You can see from the sculpt and paintwork that their bags are each made from different material! 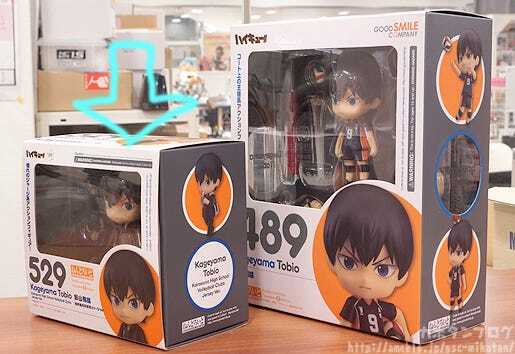 Kageyama’s has a glossy, enamel appearance while Hinata’s has a more matte appearance! While they are certainly lovely on their own, displaying the two of them together allows for even more fun!! 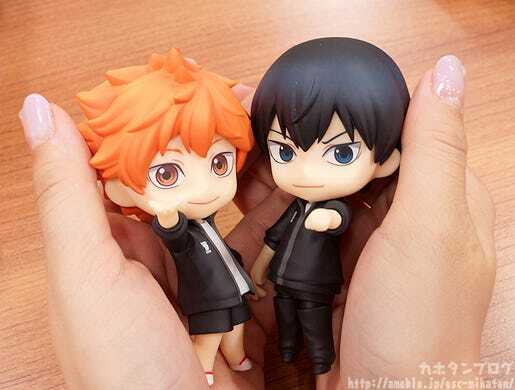 By the way, the Kageyama above makes use of Hinata’s hand but the bent arm part! You can mix things up for all sorts of different situations! These two figures are a little special, so let’s go over how you can purchase them! 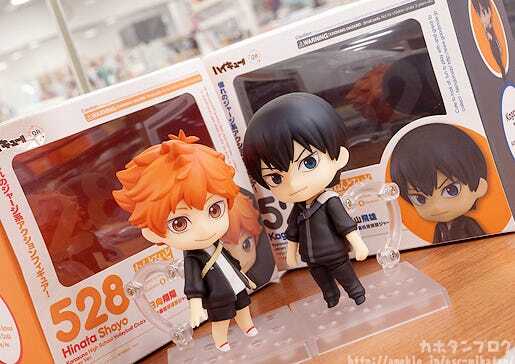 A limited amount of stock of both Hinata and Kageyama will be on sale at the Haikyu!! Festival taking place this weekend on the 30th August! See the official website for more information! After the event from around Monday the 31st August around 12PM JST both figures will also be available for preorder at the GOODSMILE ONLINE SHOP! Check the GSC Site or GOODSMILE ONLINE SHOP for more details!! Don’t miss out on these two!! 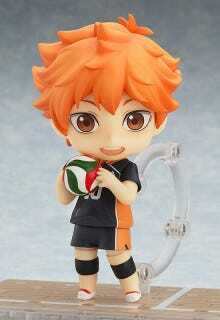 ☆Nendoroid Shoyo Hinata: Karasuno High School Volleyball Club’s Jersey Ver. 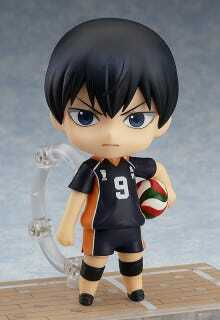 ☆Nendoroid Tobio Kageyama: Karasuno High School Volleyball Club’s Jersey Ver. 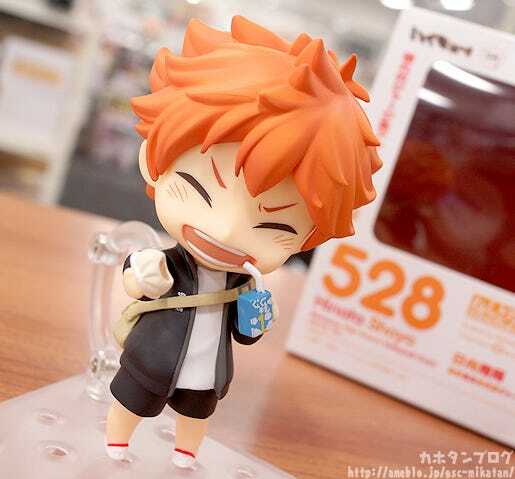 Also note that there are more Nendoroids from Haikyu!! coming up in the ORANGE ROUGE line-up!! No ticket is necessary to see the GSC booth. The characters from the anime series ‘Durarara! !X2’ are joining the Picktam! series of tradable rubber straps with exchangeable expressions! 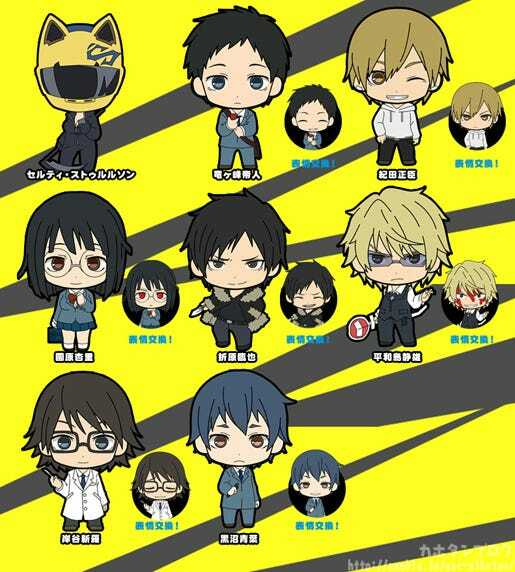 The set includes eight different characters from the series including Celty Sturluson, Mikado Ryugamine, Masaomi Kida, Anri Sonohara, Izaya Orihara, Shizuo Heiwajima, Shinra Kishitani and Aoba Kuronuma! Each character’s face part had two sides each with a different expression, allowing you to pick the one that suits your mood best each day!